Are you wondering whether character education and social-emotional learning (SEL) are the same? Character education is often used interchangeably with SEL, despite the differences. Misunderstandings affect decisions about what programs we implement and how, and may lead to over-implementation and additional, unnecessary work for educators. The SEL process, as outlined by the Collaborative for Academic, Social, and Emotional Learning (CASEL), helps “children and adults acquire and effectively apply the knowledge, attitudes, and skills necessary to understand and manage emotions, set and achieve positive goals, feel and show empathy for others, establish and maintain positive relationships, and make responsible decisions.” Teaching the skills around these core competencies—self-awareness, self-management, responsible decision making, relationship skills, and social awareness—is the heart of SEL. Sequenced: Coordinated and connected core activities that foster skill development. Active: Active forms of learning to help students master new attitudes and skills. Focused: A component that emphasizes developing social and personal skills. To answer the question of whether a character education program is also SEL, look for whether the character education program, instructional practices, or strategies fit CASEL’s SAFE acronym. Is there explicit teaching of specific skills in one or more of the five SEL competencies, such as identifying feelings, making friends, managing frustration, solving problems, or calming anger? For example, if students are taught what gratitude is but there is no instruction on skills for expressing gratitude, it is not explicit. Is the focus on building, teaching, modeling, prompting, coaching for, and practicing skills, or is it only about building knowledge, explaining importance, and telling students what the core values are at the school? According to CASEL, SEL is a process through which children and adults “acquire and effectively apply the knowledge, attitudes, and skills” crucial to the core competencies. That means SEL is not only about skills. It is also about understanding one’s own attitudes and how they contribute to behavior so that one can make responsible decisions. If a character education program tells students they should have certain values rather than teaching them to be aware of how their values affect their behavior so they can make good choices, it is not clearly SEL. Character education and SEL overlap, and it isn’t always easy to distinguish between them. They have similar goals for students, such as success in life, contributing to the community, becoming responsible, caring adults, making positive decisions, and successfully facing obstacles and challenges. Both also look to positive outcomes, such as reductions in violence and bullying, and improved student achievement. Character and social skills can be cultivated. Students learn to care about core values by developing social-emotional skills such as empathy skills. Character education and SEL may involve student reflection on their own values and how those contribute to behaviors. Both can foster a positive school climate and community where people treat each other kindly. Social skills are intertwined with character. Listening, showing compassion, and helping others all make up a person’s character. Character reflects one’s social skills, and social skills can build character. 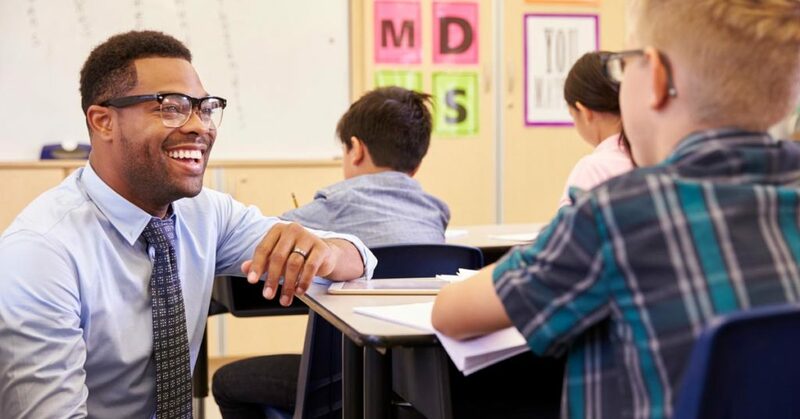 An important difference between SEL and character education is that some character education approaches are focused on developing morally responsible youth, and that is not the defining characteristic of SEL. It is important to make that distinction. Teaching morals and values can raise concerns about whether they can be changed, and whether instruction is the responsibility of families or schools. Giving youth the knowledge and skills for being self-aware, developing relationships, and making responsible decisions so they can successfully navigate the challenges in life is what SEL is all about. Although often used interchangeably, character education and SEL are not the same. Knowing the similarities and distinctions helps us to be more careful, reflective, and deliberate implementers of evidence-based practices that align to our goals, vision, and mission. Character.org’s “11 Principles of Effective Character Education” gives a deeper look at character education, including how it is defined, what it looks like, and how schools and organizations can intentionally cultivate character. To discover more about social and emotional learning, visit Committee for Children’s What is SEL? page. Read more of Kim’s articles on the Committee for Children blog, and check out this SEL eBook, which is a collection of articles about SEL as it relates to restorative practices, trauma-informed practices, MTSS, and character education.